A Passion for "Dirt Bike Style"
250LONDON is a Design led Motocross + Mountain Bike clothing brand. Launched in late 2015 and rapidly growing, thanks to a proactive and highly engaged social media following, sales across the UK, USA, Australia, Japan and Europe are exceeding all expectations. The brainchild of Menswear Designer Adam Waite, who grew up riding and racing Motocross Bikes with a passion for the sport which continues to this day, 250LONDON brings you bold, colourful, off-road clothing, which is practical and modern in design but very unique in style. The other half of 250 is Jennifer Johnston, Adam's Wife and ex-Cross Country MTB Racer. Jen represented Scotland in the 90's and was the original and sole rider for Team Bontrager/Trek in the UK at the time! 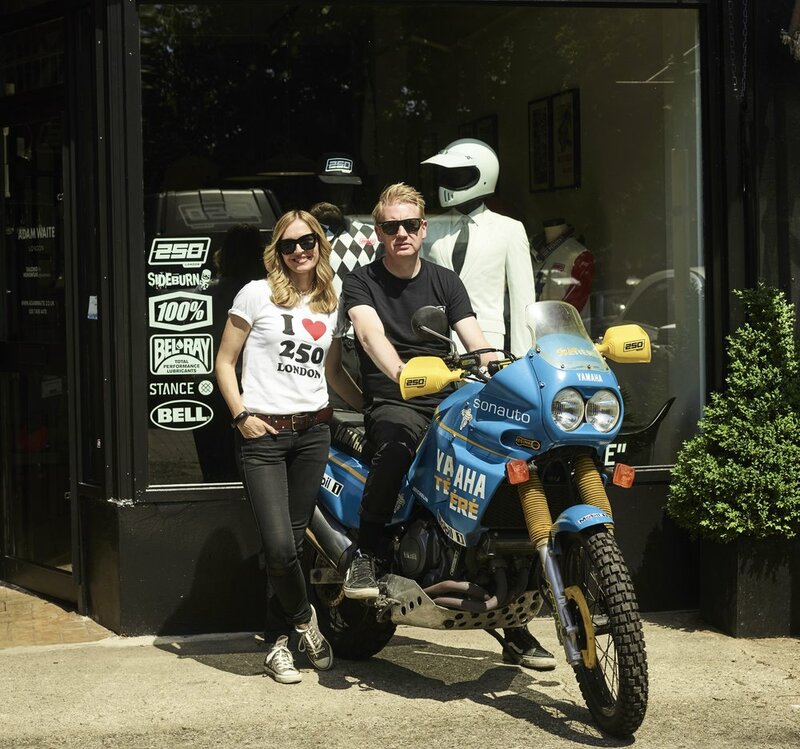 Not just for the off-road enthusiast, 250LONDON gear is worn by fashion conscious bikers and hipsters alike, who collectively appreciate the detail, design and, most importantly, the authenticity behind the brand. "In a world full of big corporate sports brands, people want to look individual and different, both on and off the track. We at 250LONDON are providing that"
Plans for the brand in 2019 are to hit the road and head to more events and shows in both the UK and Europe and also to grow International Wholesale accounts. To sign up to the 250 newsletter and keep up to date, please visit the Contact page.